Hong Kong’s Ocean Park is stepping up its game this April as it aims to offer guests a unique one-stop edutainment experience. From 19 April to 1 May 2019, families can now embark on an exciting adventure as nature explorers during the Park’s Animal Discover Fest. Guests are entitled to attend 14 varied interactive animal workshops and backstage explorer tours. These workshops would allow you to greet the adorable kinkajou and the extraordinary steppe eagle. As part of an effort to advocate for the Park’s efforts in animal care and conservation, guests can visit the first-ever open house at the veterinary centre. Whether you’re a young or old explorer, you will learn about how you could also play an active role in conservation. You can get a sneak peek of the back-of-house facilities at The Grand Aquarium and Shark Mystique. You shouldn’t miss out the headline for this year’s festival, where they’ll be able to participate in the exclusive Meet the Walrus programme. 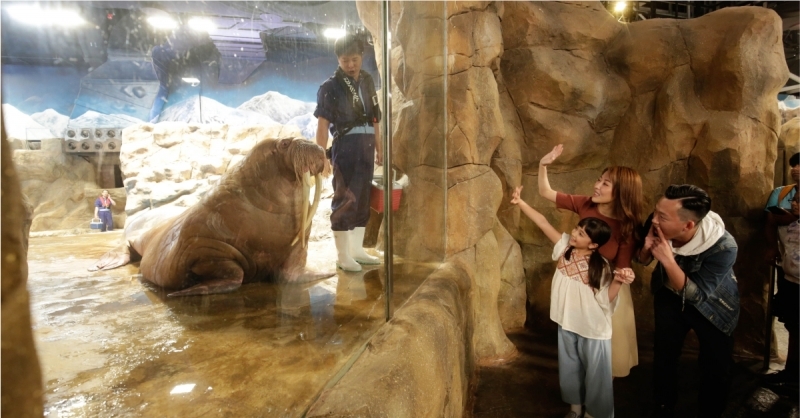 Guests will be able to get up close and personal with these cute creatures. Don’t forget to snap a photo as a unique souvenir!